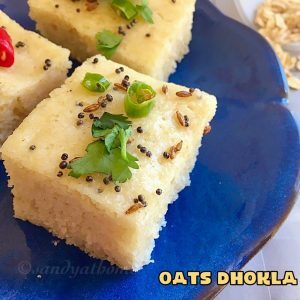 Oats dhokla is an instant, fluffy and healthy steamed recipe prepared by combining ground oats powder, sooji and curd. 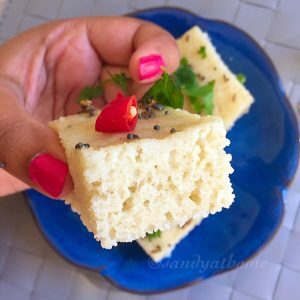 Oats dhokla is much tastier than the regular dhokla and I have been making this often at home nowadays. 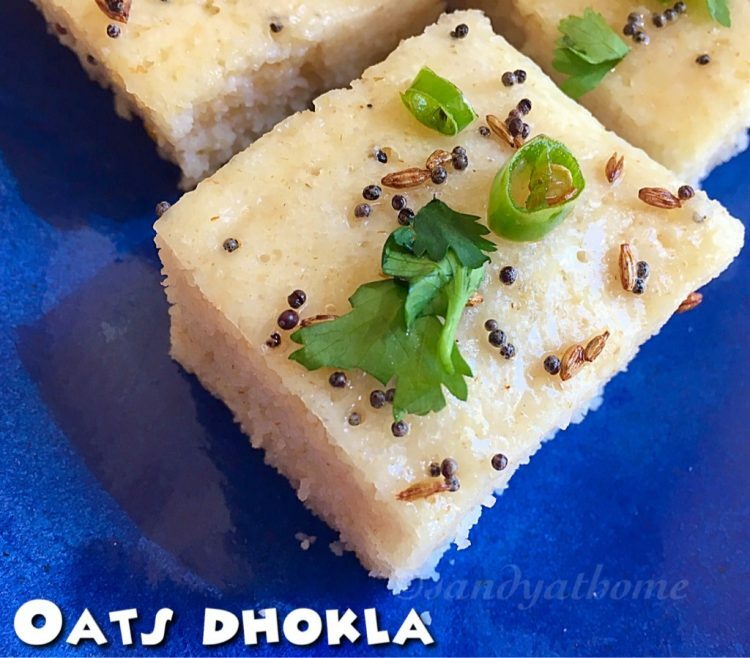 This recipe yields soft and fluffy dhoklas and when served to friends and family they will surely be surprised to know they are made with oats. 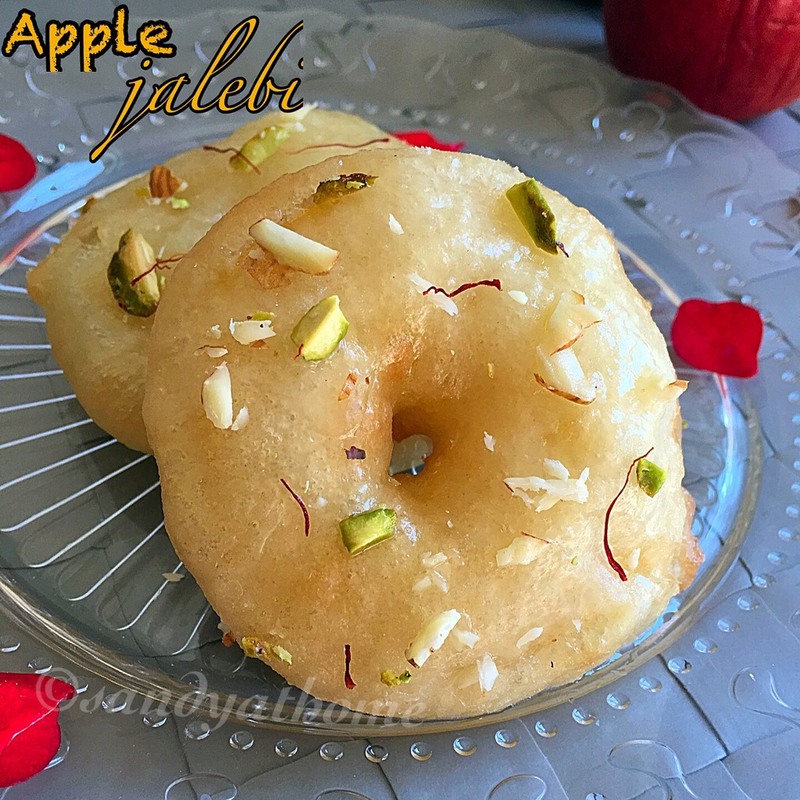 This recipe is simple and easy to prepare as its ingredients are very basic and requires very little time for preparation. So lets get to the making! 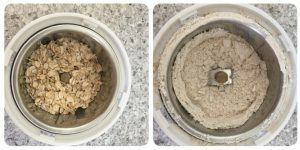 In a blender add oats and grind it into fine powder. Now in a bowl add ground oats powder, sooji, salt, sugar and curd. Mix well now add 1/3 cup water in it and mix well again. Heat water in a steamer and grease dhokla pan. 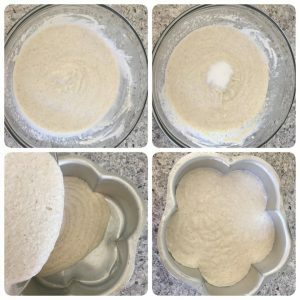 Now add oil and eno fruit salt in it and mix well, immediately you will notice the mixture getting frothy and bubbling. Now add this mixture in the greased dhokla pan. 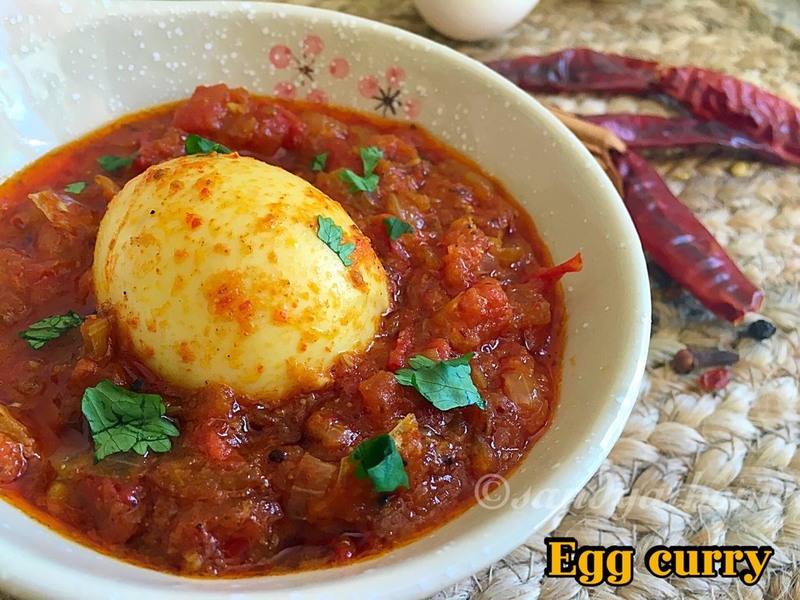 Now heat oil in a small pan add mustard seeds, after it splutters add cumin seeds after it crackles add curry leaves and green chili in it and put off the flame. Now pour this tempering over cooked dhokla and garnish it with cilantro. 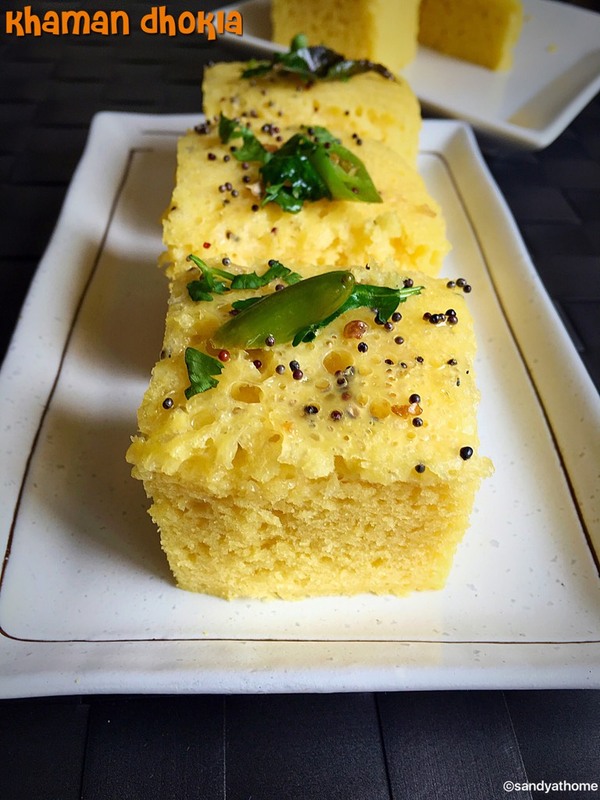 Now run a knife and slice the dhokla into desired shapes and serve it.